The main day in the festive calendar has come and gone. Money has been spent. Gifts have been opened, and we’re sure there’s been a ton of fun had. But now it’s time to get back to taking things seriously by bolstering your technological arsenal with some fantastic technology sitting at rock bottom prices. 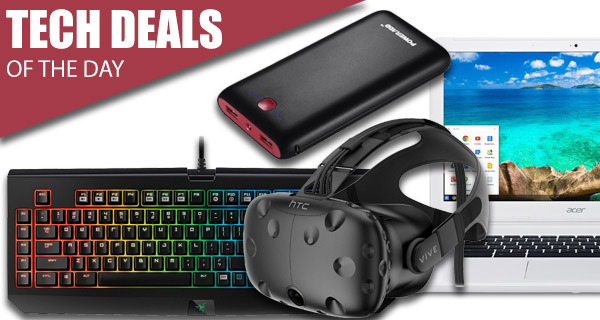 If you really want to embrace 2017 in style, then you probably need to give some of these deals a serious look. 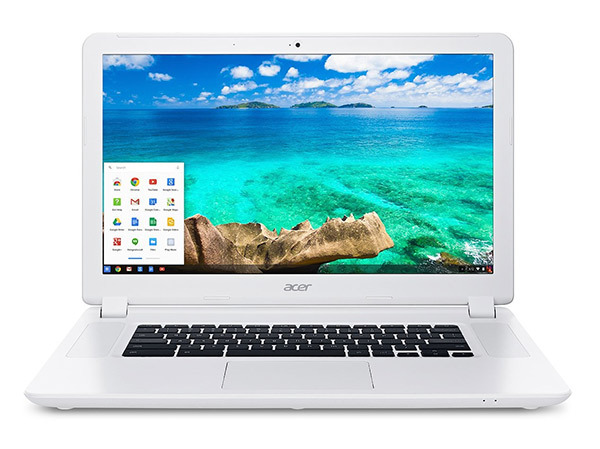 First up we have is a 15.6-inch Chromebook from Acer coming in at just $229 down from the usual $300 price tag. It may not be exactly loaded with the top specs, but a full HD display will make for a pleasing experience. 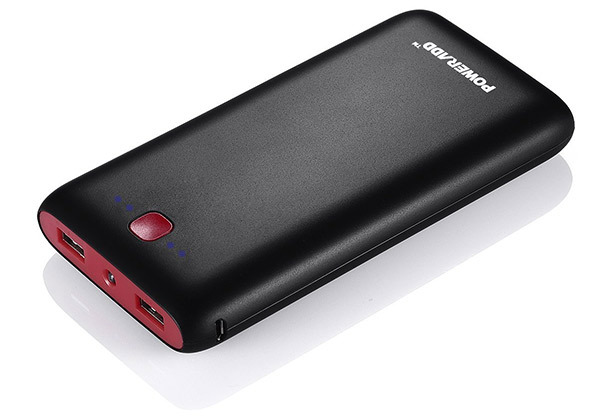 There is also a portable power bank battery with a 20,000mAh cell, and price tag of just $16.59. For gamers, there’s the beautiful BlackWidow Chroma Stealth mechanical keyboard from Razer coming in with a cool $55 discount. Last but not the least, and again for gamers, is the HTC VIVE VR headset for $699 down from its original price of $799. As always, all the deals listed here are available for a limited period of time only, or till stocks last, whichever happens first. So if there’s a product in here that you have your heart set on, make sure you act quickly before the offers expire. Enjoy the savings! If you are looking for a new computer, but not actually need something as advanced as a Windows 10-powered PC or one of Apple’s macOS installed Macs, you can’t really go wrong with this gorgeous Acer Chromebook running Google’s Chrome OS. This sleek little machine features a 15.6-inch full HD IPS display, 4GB of RAM and an integrated 16GB SSD for storage. It’s probably fair to say that we are going to be hearing the terms “augmented reality” and “virtual reality” a lot in the coming months and years. And along with those mentions, we are likely to hear HTC being mentioned a fair bit for its VIVE VR hardware. This hardware has been built from the ground up to provide an immersive experience that will let you view and move around objects on virtual space. There’s also the inclusion of wireless controllers designed specifically for the VR experience. It’s not everyday that a new and premium hardware like VIVE gets a discount. So make the most of it while you still can! Gone are the days when you need to suffer the indignity of not having any power in your smartphone or tablet. We’re all becoming increasingly reliant on our mobile devices, which means that we could probably all do with having a power bank like this to give us that extra boost when we need it. This particular option offers a huge internal 20,000mAh battery pack with native Smart Charge tech to ensure that the power is injected into the device as quickly as possible. Why would you purchase a sleek, beautiful and well-designed keyboard like Apple’s Magic Keyboard, or similar, when you can really strip the experience back with this powerful Razer BlackWidow gaming keyboard? This is built around Razer’s award-winning mechanical switches design, and offers extreme durability with a fully programmable experience and 5 macro keys. 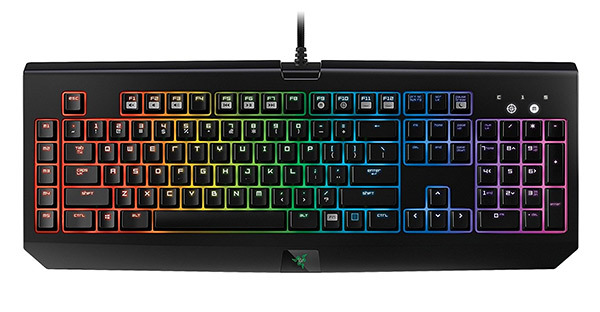 Oh, and it looks gorgeous with its under-key backlighting supporting 16.8 million colors. Do you ever show deals for the UK/EU? ?